We are omnivores - carnivorous, chocolate-loving, bacon-hoarding, wineauxs, beer geeks, curd nerds and yes, even vegetarians. 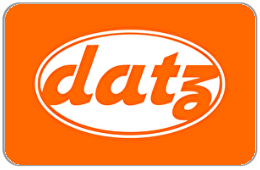 Together we are shamelessly unapologetic flavor crusaders and Datz is our playground. An american gastropub and market dishing up regional comfort food favorites generously paired with boutique spirits, craft beer and wine. Served with ample sides of culinary education and entertainment in a spirited, ever-evolving environment. After all, we believe ordinary belongs in the dictionary, not in a restaurant. Especially ours. For balance inquiries call the phone number to a Datz Tampa's location below.